A Fun And Colorful Handrail. 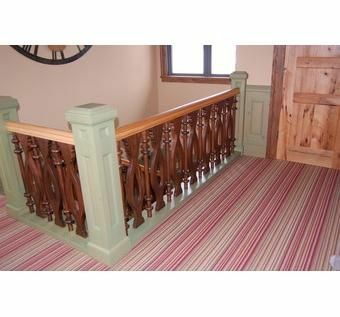 White oak, reclaimed spruce, and poplar handrail. 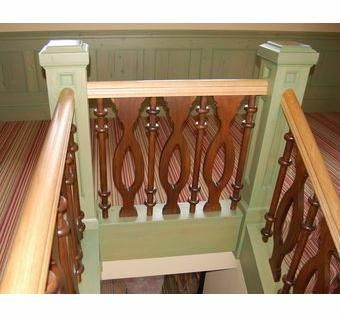 This client colored, stained and painted this balustrade to create pleasing contrasting components. Dimensions: 1 flite of stairs plus guardrail for the second floor.